By The Foundstone Strategic Services Team. It is clear that an unsupported operating system will need to have significant technical safeguards deployed and configured properly to reduce the risk of exploitation of the unsupported operating system. Application whitelisting programs used to be considered an optional technical security control, but as the nature of networks and applications changed, application whitelisting programs moved past being a “best practice” years ago. It is now considered both a basic and standard security control. When configured properly, these programs can arguably be the strongest component of operating system defense in depth. It can protect against the deliberate or inadvertent exploitation of operating system vulnerabilities, regardless of whether the workstation activity is performed by authorized users, unauthorized users, or malware. Application whitelisting programs have been identified as the first of the five “Quick Wins” in the Top 20 Security Controls – these are the sub-controls that have the most immediate impact on preventing attacks. These programs offer a range of features that significantly reduces the attack surfaces that threats are actively attempting to exploit. Risk is reduced because there is much less opportunity to deliberately or unintentionally exploit potential weak spots or vulnerabilities. The abilities of application white-listing programs to limit, disable, or restrict access makes it a significant part of defense in depth best practices for all operating systems, including Windows XP as it becomes unsupported. 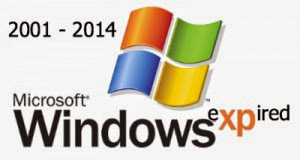 Achieving compliance with the Security Rule while continuing to use Windows XP will involve documenting your risk analysis and using reasonable and appropriate technical safeguards such as application white listing to reduce the likelihood that threats can exploit vulnerabilities. Access Control (AC) - This control family includes mechanisms used to designate who or what is to have access to a specific resource and the type of transactions and functions that are permitted. Configuration Management (CM) - This control family aims to address the activities that present a risk of integration failure due to component change. This includes change control processes and asset management. System and Information Integrity (SI) – The controls in this family are used to protect data from accidental or malicious alteration or destruction and to provide assurance to the user the information meets expectations about its quality and integrity. Additionally, this family covers various aspects of flaw remediation. CMS has also referenced the Top 20 Critical Security Controls (now maintained by The Council on CyberSecurity). The latest version of the Top 20 (Critical Controls Version 5.0) continues identifying application whitelisting as the first of five “Quick Wins”; these are the sub-controls that have the most immediate impact on preventing attacks.